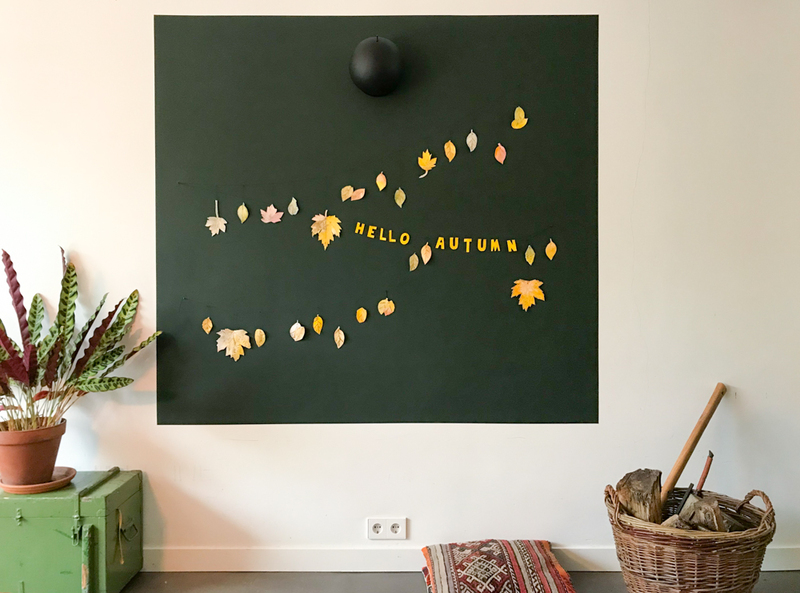 Leaves are changing colours and falling in Amsterdam and the colours of the trees are so pretty. 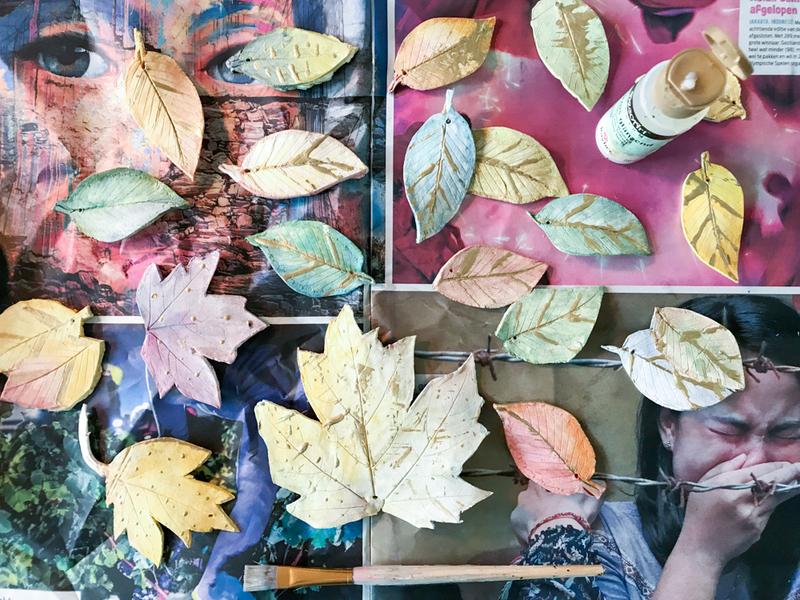 When we’re going for little walks in our neighbourhood, we can’t help but come back with some colourful leaves in our hands. Little treasures!! 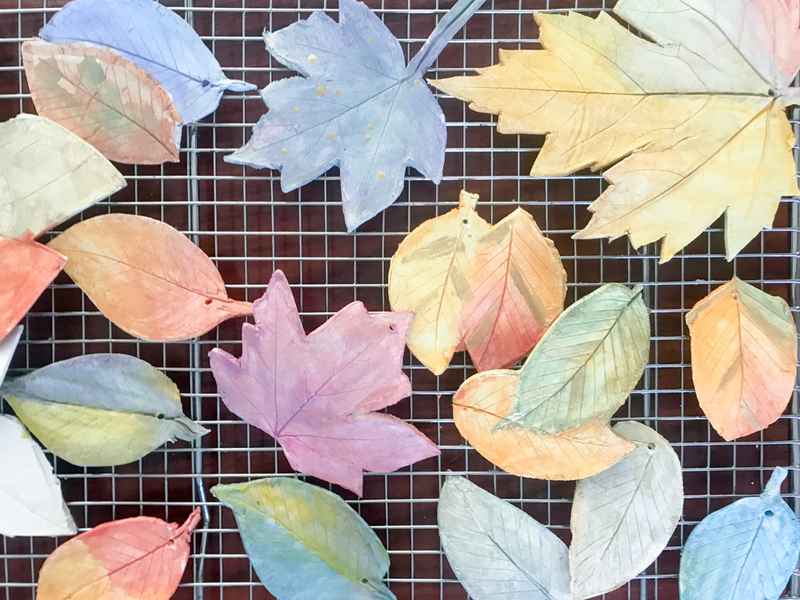 And a few pretty leaves of course! 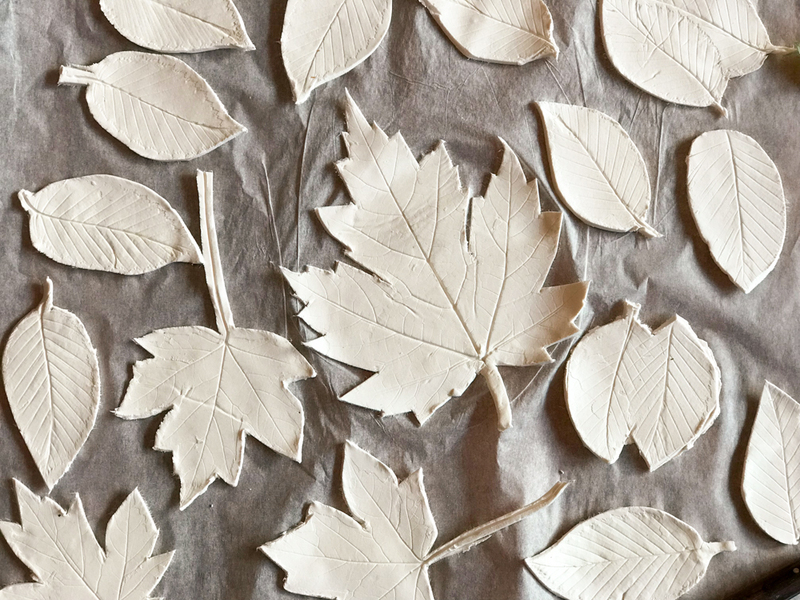 Using a rolling pin, we rolled out the paper clay on a sheet of baking paper. 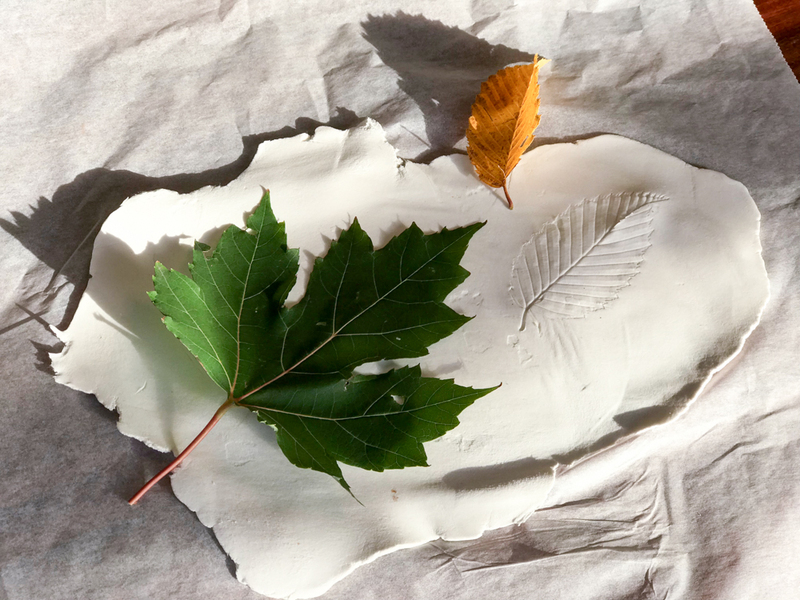 Then, using the rolling pin, we rolled the leaves into the clay. 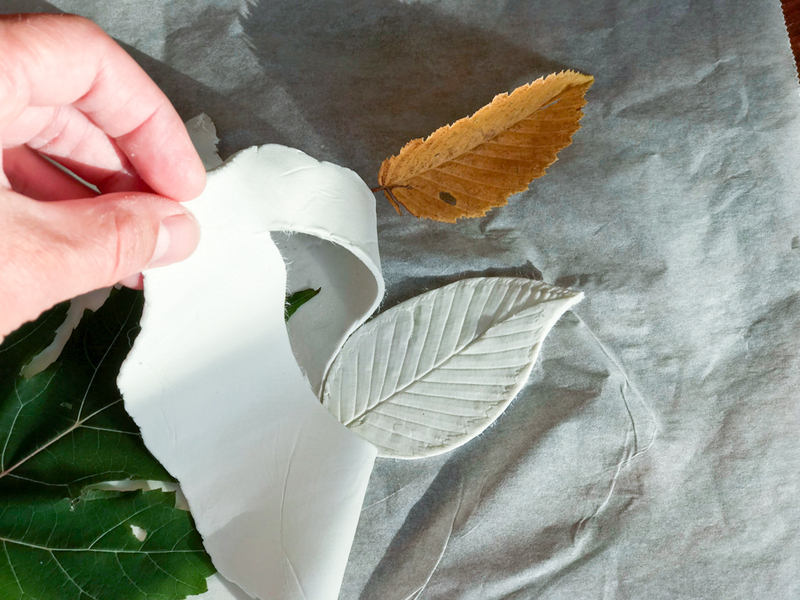 Following the contours of the leaves, we cut out the clay leaves and made a little hole in them so that we will be able to hang them later. This part the children really loved! Casper, who is 5, as well as Ava (8) and Sara and Pim, who are 13 and 11, were so into it. We let the clay dry on the cookie rack. The last step is to apply the varnish. I just did this part myself, as it’s a bit of a boring job and everything gets sticky. 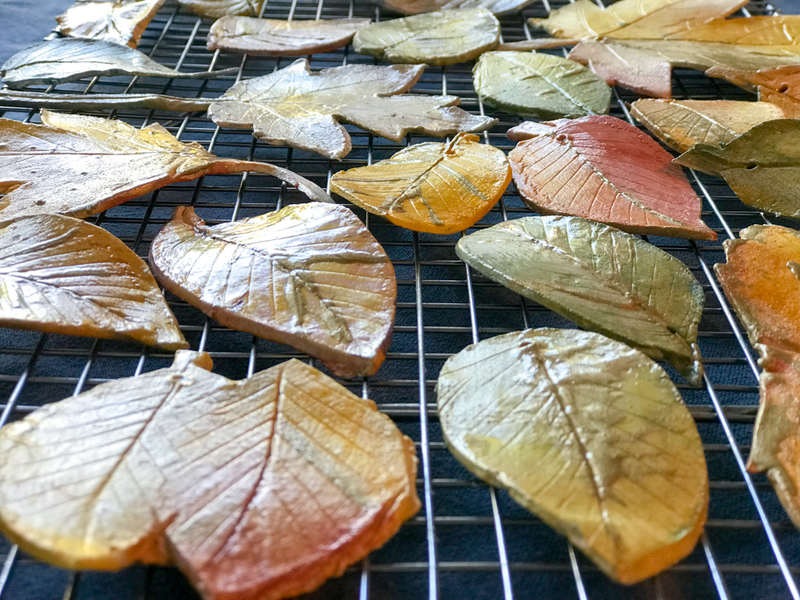 We used the finished pressed paper clay leaves to decorate our living room (using the square we painted a while ago), but you can also use them for table decoration or tie them to presents. They’re really pretty! PS Fall leave lanterns. 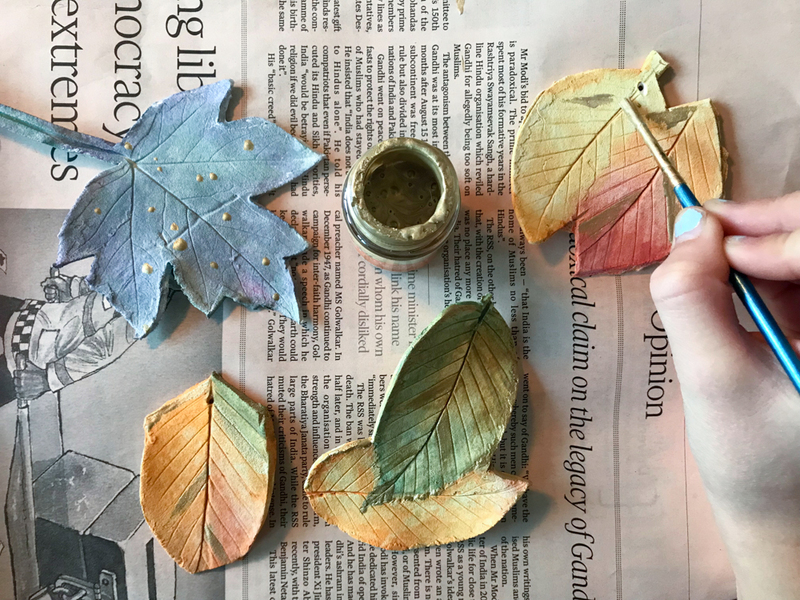 Another wonderful craft that all ages will enjoy. As soon as I read this, I went out and got some modeling clay. 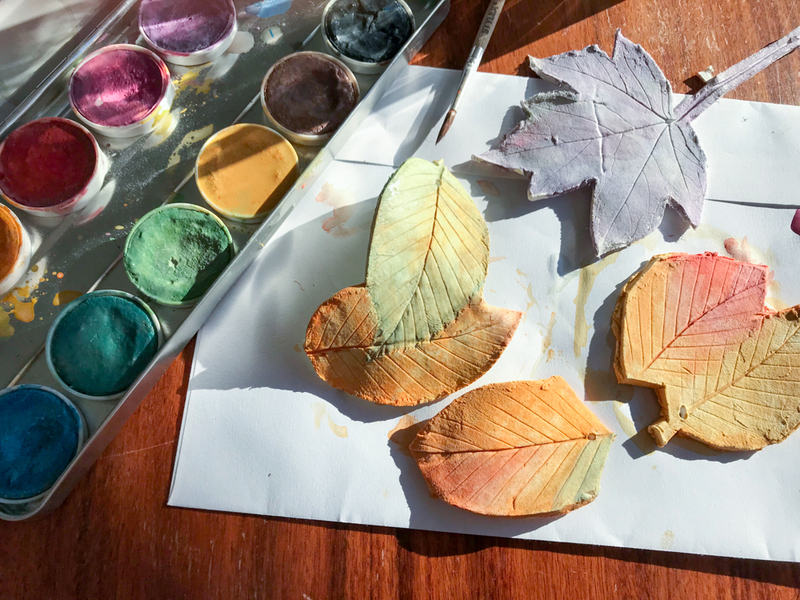 Last Wednesday, we picked up some pretty leaves and followed your instruction to roll the leaves on the clay and cut them out. We are going to paint them tomorrow. Can I ask you what kind of glaze? The modeling clay can air day and does not require any firing. After I apply the glaze, will it just dry or does it need firing to settle in?